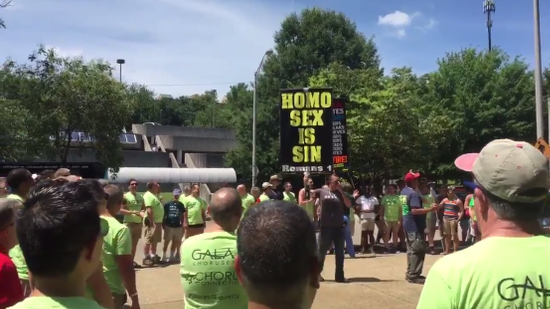 Knox Pride took place in Tennessee yesterday, so naturally, there were Christian bigots there to protest and tell everyone they’re going to Hell. But they probably didn’t expect the Gay Men’s Chorus of Washington, DC to be in the area on tour. And they clearly didn’t plan for those singers to surround them and drown out their hate with song.